Voltaj is one of the most experienced rock bands on Romanian stage. The band was formed in 1982 and it's first line-up has included Adrian Ilie (guitar), Cristian Minculescu (vocal), Dan Cimpoeru (bass) and Nikki Dinescu (drums). Band has recorded their first track "Nori de hârtie" and gave their first performance at the House of Culture "Mihai Eminescu" in Bucharest. After this band has started regular performances with own tracks like "Aceasta-i întrebarea" and "Rock'n Roll", as well performing covers of AC/DC. After several changes in the line-up, which included introductions of guitarist Gabriel Nacu, bass players Horațiu Rad and Doru Borobeică and singer Sanda „Zizi” Lăcătușu band relaunches in 1986 with completely new line-up: Cristi „Trântoru” Ilie (vocals), Adrian Ilie (guitar, the only original member), Amedeo Bolohoi (guitars), Dan Mateescu (bass), Doru „MS” Istudor (drums). In this line-up band receives Teatrului Tănase Award and continues active performances. In Summer 1987 band tries to enter recording studio, but is rejected by TVR studio and ends recording on rented equipment six songs "Arc peste timp", "Zi de zi", "Voi fi nou al tău", "În calea norilor", "Tu doar tu" and "Alerg". Songs are broadcasted in August in show Metronom and enter radio rotation. Voltaj follow their first release with tours across the country. Voltaj: Doru Istudor (drums), Cristi Marinescu (guitar), Cristi „Zăpadă” Ioniță (vocal), Lenți „Chewbacca” Cristea (bass), that soon joins with Amedeo Bolohoi's band Quartz producing line-up Cristi „Trântorul” Ilie (vocal), Amedeo Bolohoi (guitar), Gabi „Porcus” Constantin (guitar, who is the oldest currently remaining member of the band), Marin Teodor (bass) and Doru Istudor (drums). Bolohoi himself soon retires, being replaced by Vladimir „Grilă” Negoiescu. Band releases hit "Cenușă și diamant" and performs at various festivals. In December 1988 in Slănic Moldova performance for the first time is introduced current bass player Valeriu „Prunus” Ionescu. In 1990 band is joined by female singer Cristina (ex- Adagio), Dan “Candoi” Tufan (keyboards) and shortly another guitarist Cristi Luca (from Metrock). These years band is struggling with getting permissions in mid of anti-rock campaign launched by the state, and is suspended from all access to TV and radio studios. In 1993 Doru Isidor leaves for a period in UK, being replaced by Petrică Roşu. Next release of the band happens only in 1995, when songs "Nori de hârtie" and "Lumina" are included in compilation album "Unplugged Romania". Band accepts back old name "Voltaj". A year later, in December, first full album of Voltaj "Pericol de moarte", in fact being collection of greatest hits up to date, is released on Roton label. Band's line-up on time of release is: Tavi Colen (vocals, former singer from Sin, who will then proceed to Talisman and Phoenix), Gabi „Porcus” Constantin (guitar), Adrian Sârbu (guitar, replacing Luca shortly before recording), Vali „Prunus” Ionescu (bass) and original drummer Nicky Dinescu. By 1998 Voltaj sound is characterized as hard'n'heavy, but starting at that year band moves more into less heavy music, adding electronic influences to rock music. This is also signed by the changes in band line-up, which now features current vocalist Călin „Pictorul” Goia, Gabi „Porkus” Constantin on the guitar, Vali „Prunus” Ionescu on bass guitar, Bobby „Bobiță” Stoica on keyboards, and Paul „Pampon” Neacșu on drums. First record of the new line-up was the current hit - Queen's "We Will Rock You". In February 1999 band releases their first maxi-single "Asta-i viața", followed in July by album "Risk Maxim 2". Band gives numerous concerts and performs at various festivals. In December they receive "Golden Microphone" Award for the "Best Rock Album". With a stable line-up, more releases follow: albums "Bungee" (2000) and "3D" (2001) - first release on Cat Music label. In 2002 when „Pampon” decides to leave for abroad, drums were taken by Oliver Sterian. Album "424" is released in 2002, followed by the first "Best of" compilation in 2004 and release of "Povestea oricui" on DVD in 2005. In 2002 band competes in national preselection with "Lacrima" finishing 9th. More compilations "Cartea Voltaj" and "Integrala Voltaj" are released in 2005, and this year band wins "Best Romanian Act" at the 2005 MTV Europe Awards. Album "Revelator" is released in 2006. 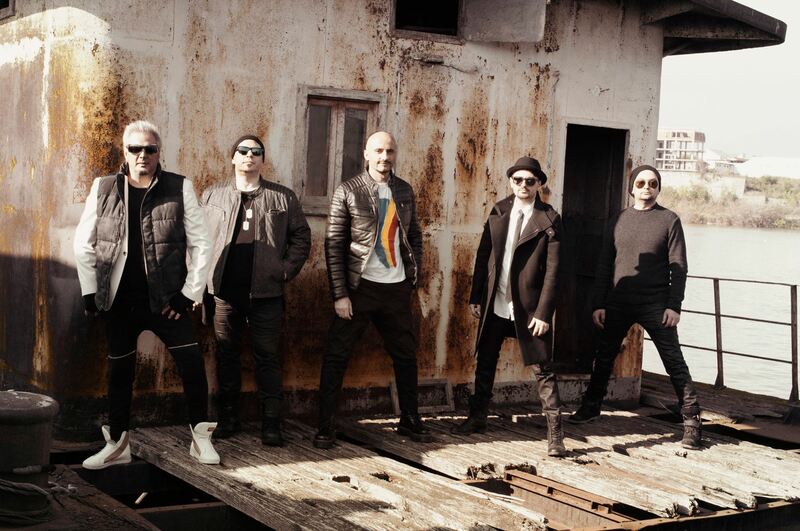 In 2009 band releases it's 8th album titled "V8", choosing to concentrate on releasing singles and compiling the ones released in 2010-2012 in album "Dă Vina Pe Voltaj". 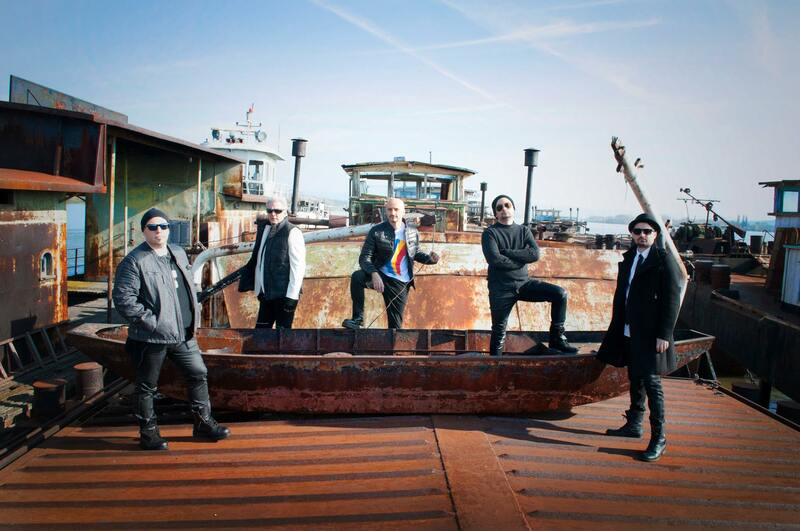 On 16 November 2010, the band released together with Deepside Deejays a new video titled, "I Wanna Be Free". 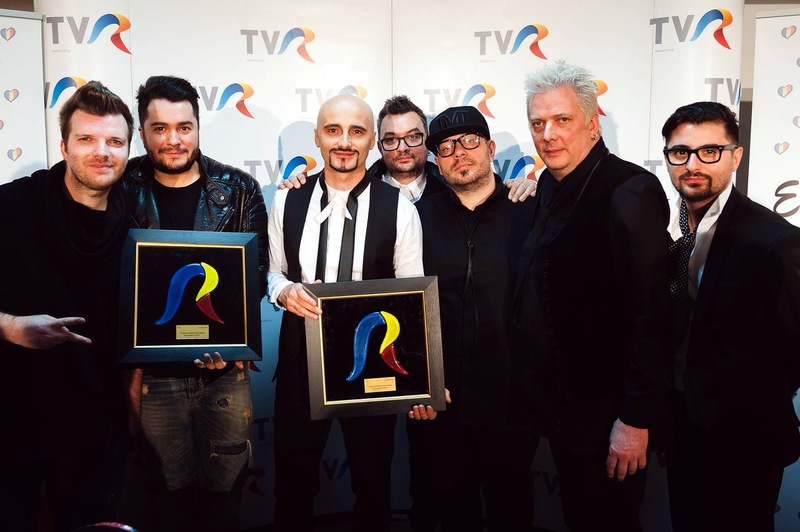 In June 2012 band wins Romanian Music Awards 2012 for the best live performance. The final up-till-now change in line-up occures in December 2012 with Bobby Stoica leaving the band after several disputes with current Voltaj copyright owner Gabi "Porkus" Constantine and is replaced by Adrian Cristescu. 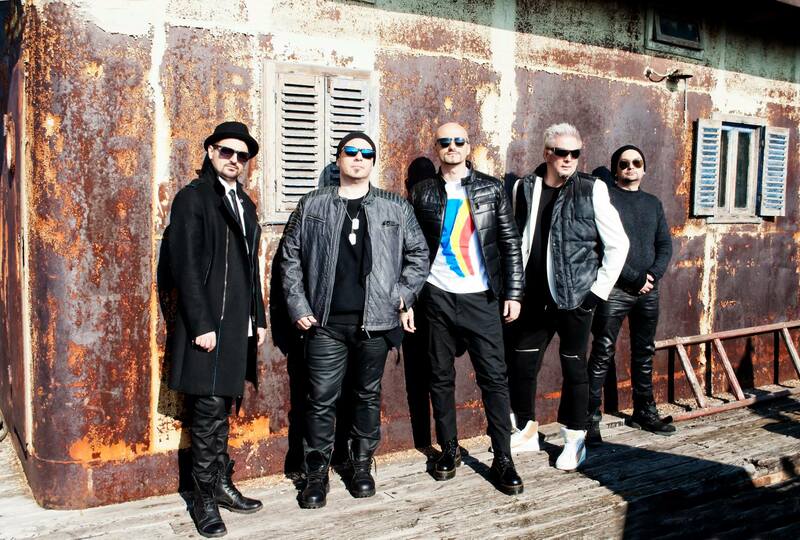 Shortly before the mega-concert at Sala Polivalentă, on March 20, 2014, the band released the single and video "Meci de box". 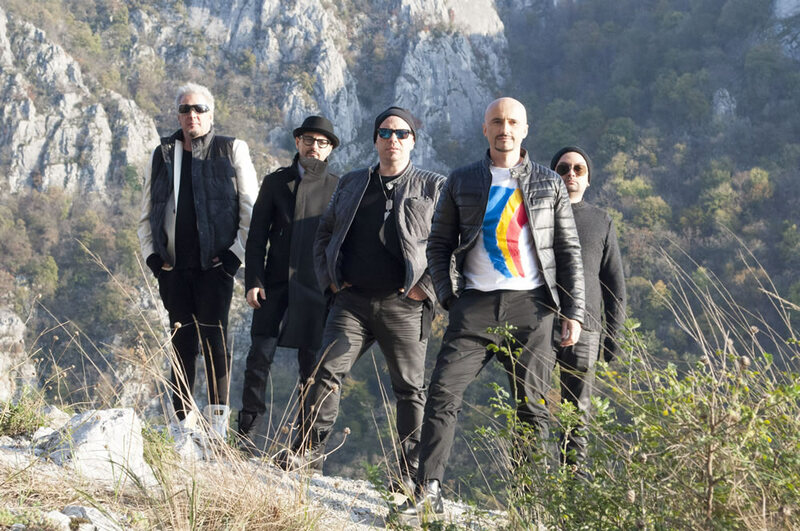 Band has released their Eurovision track "De la capăt" on 4 November 2014. The song illustrates the drama of children left home alone, who dream of a new beginning with parents working abroad. Music video contains images from the movie "The Way of the Danube", directed by Sabin Dorohoi, which tells the story of three million Romanians who left to work abroad have left their children home alone or in the care of relatives. The charity campaign launched simultaneously with the song is dedicated to children and young people in difficult situations. The English version of the song "All Over Again" was released on 4 March 2015. "All over again” is more than a song, it's a manifest. There are many dramatic cases in which children are involved. Eurovision offers extremely good visibility and exposure. At the time of the song release, we have launched a campaign and website delacapat.ro to support children in need in Romania, through the two organizations we work with over 5 years: World Vision Romania and Habitat for Humanity Romania. At Eurovision it is beneficial to have something extra in addition to simple melody. We saw last year Conchita Wurst winning with anti-discrimination campaign, and for us social theme is very important. At the international Eurovision we will try to change a bit the perception of Europe about Romanians. Europeans might realize that Romanian people are not lazy or thieves, the biggest majority working from morning to night and make enormous sacrifices to ensure a decent life for their children, that they leave the country because they have no way to get the work there. Therefore, they must be respected and not discriminated because of this"
We're happy to meet new artists for the interview session, and now it is time for Voltaj band from Romania, who will be singing at Eurovision track "De la capăt / All Over Again". "All over again" is more than a song, it's a manifest. There are many dramatic cases in which children are involved. They live a trauma due to the lack of affection, although they receive gifts and packages from their parents.The people must know that Romanians are not lazy or thieves and the biggest majority are hard-working and honest, making enormous sacrifices. Therefore, they must be respected and not discriminated because of this. Our aim at Eurovision is to make known the message of the campaign “All over again” to the whole Europe"
Voltaj members say that they were really looking to win at the show to fulfil their aim, but still can't believe that it has really happened and are very happy with it. History of Voltaj band is now counting over 33 years, however the current line-up is more or less stable since 1998. "Our love for music made us to resist for 17 years together. We are more than a team, we are like a family and we used to take decisions together, there is no leader in the band", explain performers. Fans of heavy metal music remember Voltaj for their first full album “Pericol de Moarte” made in classic heavy metal style, however the band has decided to change the style after that. They clarify: "We indeed did a change of style, but we kept singing rock music. There were many musical trends in Romanian music and we tried to adapt". 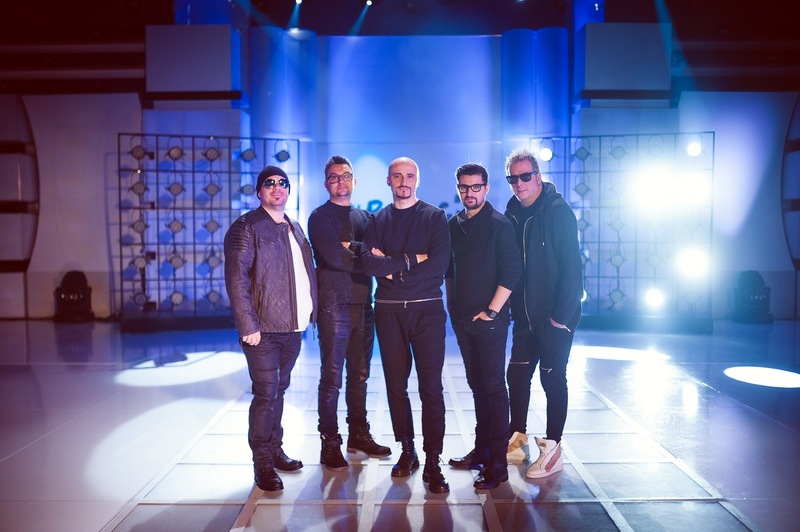 Even though the band is currently fully concentrated on their Eurovision preparations, they have already planned to release a new single this summer. "We wrote our Eurovision entry with the boys from Deepside Deejays. We work with them for years. We have similar musical tastes and ideas and that helps us to collaborate so well. The lyrics were inspired from the love to our own children and thinking about them. When we wrote and released the song with the campaign "All over again" we never thought to participate in Eurovision Song Contest. However, we realized that this contest can help us to make known internationally the fact that so many children are left home alone, while their parents are working abroad to give them the chance to a decent life"
As we have reported yesterday, the band has released the final bilingual Eurovision version of their entry. "We chose to sing the song in Romanian at the National Selection, because we love our country and language. In Vienna we will perform it partially in English. We want our message to be understood by everyone and that's why we have translated the song in English". Band members says that they themselves were behind the idea of the staging of the entry at the national final, but for the international contest they prepare totally different staging, but this will be a surprise. Already prior to the national final band has released music video. "The images of the video are part of the shortfilm "Way of the Danube" directed by Sabin Dorohoi. When we saw the shortfilm we thought immediately that it fits well with the idea of our campaign and so started our collaboration with Sabin Dorohoi", explain band members. Prior to the contest band plans to attend Eurovision preview parties in London, Amsterdam and Moscow. "We have already listened to a few other entries, there are some very good songs and voices too. Competition is strong, but as we do for so many years, we prepare very carefully and intensively each appearance and stage production of our show and we are ready to compete". "Our tradition message is: Live your life as you would have 20 years old! But we have something else to say: Don't ever be afraid to start ALL OVER AGAIN!" Romanian Eurovision representatives will be dressed on the stage in Vienna by famous fashion designer Florin Dobre. He also worked in the Eurovision project in 2012, when he designed the outfits for the boys of Mandinga. Florin Dobre has launched his fashion style in 2009 and since then has had presentations in a variety of locations in Romania and abroad - in Paris or London. His creations have appeared on the front page of French newspapers "Le Figaro" and "Le Monde". He won the award for Best International Designer, Fashion Week 2014 in Serbia. "It is an honour for me to work with representatives of Romania in Eurovision, one of the prestigious bands from Romanian music scene. Current trend is that outfits will be quite minimalistic, based on the monochrome colours, and in my point of view, very fitting a social message of the entry. 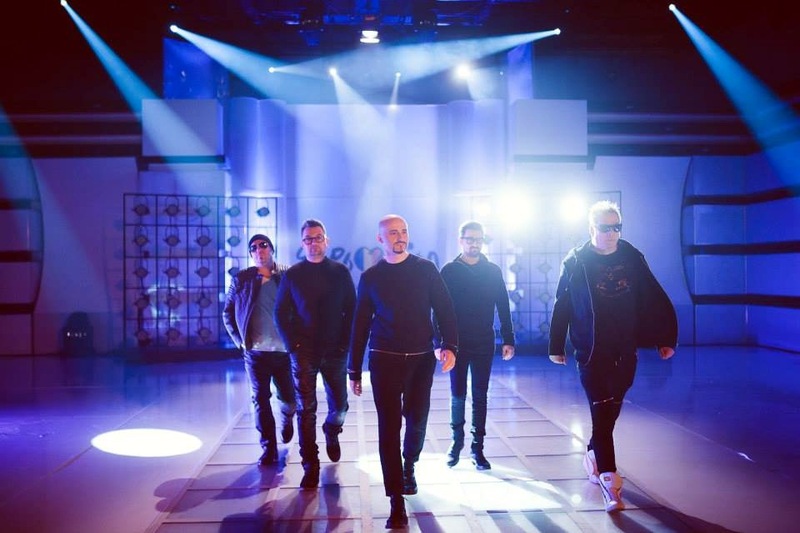 So I hope this message will reach the audience and Romanian entrant will return home with their heads up"
Stylist of Romanian Television, Rodica Puca, reveals: "Our team is also collaborating with Voltaj stylist Daria Georgescu and designer Mihaela Glăvan who will create shoes for the artists. Following several creative meetings, we chose a minimalist style, which otherwise is trendy but fits very well with the song message". 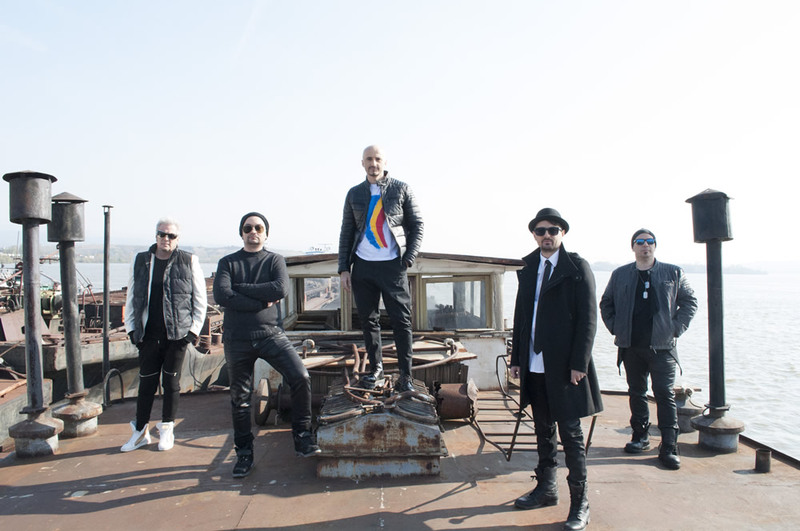 Romanian band Voltaj have shared with us two video messages, appealing to their viewers "to build bridge of love and share the message of their entry "De la capăt / All Over Again" that all children should be raised by their parents". Voltaj have completed filming of the second part of Romanian postcard in Vienna. Shootings took place at the racecourse. The complete idea of the postcard remains secret, it has only been revealed that Romanian artists will be "riding high" in Vienna. Voltaj are filming today first part of their Eurovision postcard. Romanian national final "Selecţia Naţională Eurovision 2015" will be held on 8 March in Sala Polivalenta, Craiova. Iuliana Marciuc will handle the organization of the national selection Eurovision 2015 along with Bogdan Ghiţulescu, and Liana Stanciu will, for the second consecutive year, serve as the head of Romanian delegation to Eurovision. Submission period for the contest will run from 26 January to 8 February, no restrictions for the nationality of songwriters or performers will be applied. There is an entrance fee of 200 lei (50 USD) for every entry submitted that should be paid into the account RO69RNCB0072000506070001 opened at BCR Sector 1. Tracks can be mailed or delivered directly to the Registry TVR (Calea Dorobanţilor nr. 191, sector 1, Bucureşti), on CD, with the words "National Selection Eurovision 2015" written on the envelope, or electronically via wetransfer.com to eurovision@tvr.ro. All in all 93 entries were received and 79 of them were in full compliance with preselection rules. Participating tracks were evaluated by jury on 9-11 February and on 12 February list of 12 finalists of the preselection was revealed at the press-conference. Listen to the 12 finalists here. Rodica Aculova previously competed with "My Light" in Moldovan preselection, but failed to qualify to semifinals stage. Among acts failing to make the final cut are: Nicola (Romania 2003), Ozana Barabancea, Amna feat. Glance, Ramona Nerra, Naomy, Keky, Nicole Stroiny. Voltaj является одним из самых опытных рок-групп на румынской музыкальной сцене. Группа была образована в 1982 году, и в ее первый состав вошли Адриан Илие (гитара), Кристиан Минкулеску (вокал), Дэн Кимпоеру (бас-гитара) и Никки Динеску (ударные). Первоначально музыканты играли в стилях хард-рок, хэви-метал и спид-метал. В то время многие критики называли музыку Voltaj "опасной", а попытки играть метал в коммунистический период "излишне смелой затеей". Группа записала свой первый трек "Nori de hârtie" и дала свое первое выступление в Доме культуры им. Михая Еминеску в Бухаресте. После этого группа начала регулярные выступления с собственными треками, такими как "Aceasta-i întrebarea" и «Rock-n-Roll", а также исполнение каверов на AC/DC. После нескольких изменений в составе, которые включали появления гитариста Габриеля Наку, басистов Горациу Рада и Дору Боробейкэ и солиста Санды „Zizi” Лэкэтушу в 1986 коллектив перезапускается в полностью новом составе: Кристи „Trântoru” Илие (вокал), Адриан Илие (гитара, единственный участник из оригинального состава), Амедео Бологой (гитара), Дэн Матеску (бас-гитара), Дору „MS” Истудор (ударные). В этом составе группа получает премию Teatrului Tănase и продолжает активные выступления. Летом 1987 группа пытается попасть на студию звукозаписи, но отвергается студией национального телевидения. В итоге, на арендованном оборудование записываются шесть треков: "Arc peste timp", "Zi de zi", "Voi fi nou al tău", "În calea norilor", "Tu doar tu" и "Alerg". Песни выходят в эфир телешоу Metronom и начинают радиоротацию. После первого своего релиза группа начинает гастрольный тур по стране. Voltaj: Дору Истудор (ударные), Кристи „Porta” Маринеску (гитара), Кристи „Zăpadă” Ионицэ (вокал), Ленти „Chewbacca” Кристя (бас-гитара), который вскоре сливается с группой Амедео Бологого Quartz, и состав превращается в: Кристи „Trântorul” Илие (вокал), Амедео Бологой (гитара), Габи „Porcus” Константин (гитара, сейчас является старейшим членом группы), Марин Теодор (бас-гитара) и Дору Исидор (ударные). Бологой вскоре покидает коллектив, и его заменяет Владими „Grilă” Негоеску. Группа выпускает хит "Cenușă și diamant" и выступает на различных фестивалях. В декабре 1988 года на выступлении в Slănic Молдова, в группе впервые появляется басист Валериу „Prunus” Ионеску, который остается в ее составе до наших дней. В 1990 к группе присоедняется солистка Кристина (экс-Adagio), клавишник Дан “Candoi” Туфан, и, несколько позже еще один гитарист Кристи Лука (из Metrock). В эти годы группа с трудом выживает во время борьбы государства с рок-музыкой и анти-рок кампании, получив запрет на доступ в любые теле и радио студии. В 1993 году Дору Исидор уезжает на какое-то время в Великобританию и его заменяет Петрикэ Рошу.
. Очередной релиз группы происходит только в 1995 году, когда песни "Nori de hârtie" и "Lumina" включаются в сборник "Unplugged Romania". Группа возвращает себе старое название "Voltaj". Год спустя, в декабре, на лейбле Roton издается первый полный альбом Voltaj "Pericol de moarte", который на самом деле является сборником ее лучших хитов до этого дня. На момент выхода альбома в составе группы играют: Тави Колен (вокал, из группы Sin, позднее певший в Talisman и Phoenix), Габи „Porcus” Константин (гитара), Адриан Сэрбу (гитара, заменивший Луку незадолго до начала записи), Вали „Prunus” Ионеску (бас-гитара) и первоначальный барабанщик группы Никки Динеску. До 1998 года стиль Voltaj характеризуется как hard'n'heavy, но, начиная с этого года группа начинается двигаться в сторону электронной и easy-listening музыки. Это также символизирует очередная смена состава, где теперь выступают: вокалист Кэлин „Pictorul” Гойя, гитарист Габи „Porcus” Константин, басист Вали „Prunus” Ионеску, клавишник Бобби „Bobiță” Стойка и барабанщик и Павел „Pampon” Неаску. Начинает новый состав с издания кавер-версии на хит группы Queen "We Will Rock You". В феврале 1999 года группа выпускает свой первый макси-сингл "Asta-i viața", а затем в июле альбом "Risk Maxim 2". Группа дает многочисленные концерты и выступает на различных фестивалях. В декабре они получают на премии "Золотой микрофон" награду за "Лучший рок-альбом". Со стабильным составом, группа начинает выпускать релизы более регулярно: выходят альбомы "Bungee" (2000) и "3D" (2001) - первый релиз на лейбле Cat Music. В 2002 году, когда „Pampon” решает уехать зарубеж, за барабаны садится Оливер Стериан. В 2002 году выходит альбом "424", в 2004 году - первый сборник лучших хитов, в 2005 - DVD "Povestea oricui". В 2002 году группа принимает участие в национальном отборе с песней "Lacrima", заняв 9е место. В 2005 году издаются еще два сборника лучших песен: "Cartea Voltaj" и "Integrala Voltaj", и в этом году группа получает приз, как "Лучший исполнитель Румынии" на премии MTV Европа 2005. Альбом "Revelator" выходит в свет в 2006 году. В 2009 группа выпускает свой 8й студийный альбом "V8", решая после него сконцентрироваться на выпуске отдельных синглов, и компиляция изданного в 2010-2012 годах выходит в качестве диска "Dă Vina Pe Voltaj". 16го ноября 2010 года группа выпустила вместе с Deepside Deejays новый видеоклип под названием "I Wanna Be Free". В июне 2012 года группа получает Румынскую Музыкальную Премию 2012 за лучшее живое выступление. Последняя на сегодняшний день смена состава происходит в декабре 2012 года, когда после некоторых разногласий с владельцем прав на имя группы Voltaj Габи "Porkus" Константином группу покидает Бобби Стойка, и клавшиником становится Адриан Кристеску. Незадолго до мега-концерта в Sala Polivalentă, 20 марта 2014 года, группа выпустила сингл и клип "Meci de box"
Группа выпустила свою конкурсную песню для Евровидения трек "De la capăt" 4 ноября 2014 года. Песня иллюстрирует тяжелую жизнь детей, чьи родители переехали зарубеж в поисках заработка, мечтающих вновь воссоединиться с ними. Видеоклип содержит в себе кадры из фильма "Путь Дуная", режиссера Сабина Дорогоя, который рассказывает историю трех миллионов румын, выехавших на работу зарубеж и оставивших своих детей дома одних или под присмотром других родственников. Вместе с выпуском трека была запущена благотворительная акция, посвященная детям и молодежи, находящимся в трудных ситуациях. Английская версия песни "All Over Again" был выпущена 4 марта 2015 года. "All Over Again" более чем песня, это манифест. Есть немало драматичных случаев, в которых страдают дети. Евровидение предлагает очень хорошую площадку для распространения определенного месседжа. В момент выпуска песни, мы начали кампанию и запустили веб-сайт delacapat.ro, для поддержки нуждающихся детей Румынии, посредством пожертвований в две организации, с которыми мы работаем уже более 5 лет. : World Vision Romania и Habitat for Humanity Romania. На Евровидении всегда полезно иметь что-то большее, чем просто хорошую мелодию. В прошлом году мы уже видели успех кампании Кончиты Вурст против дискриминации, а для нас очень важна социальная тематика. На международном Евровидении мы постараемся немного изменить восприятие Европы о румынах: Европейцы должны понять, что румыны - не лентяи или воры, большинство из них усердно трудится с утра до ночи, идет на огромные жертвы, чтобы обеспечить достойную жизнь для своих детей, что они покинули свою страну, потому что они не имеют возможности найти достойную работу там. Таким образом, они должны пользоваться уважением и не подвергались дискриминации из-за этого"
Мы рады поприветствовать новых артистов на нашей традиционной интервью сессии, и пришло время для группы Voltaj из Румынии, которая исполнит на Евровидении трек "De la capăt / All Over Again". "All Over Again" - это больше, чем песня, это - манифест. В Румынии есть немало драматичных случаев, в которых страдают дети. Недостаток любви и внимания травмирует их души, хотя они и получают подарки и передачи от родителей. Мир должен узнать, что румыны – не лентяи и не воры, в подавляющем большинстве они трудолюбивы и честны и готовы на огромные жертвы, поэтому их следует уважать и не дискриминировать. Наша цель на Евровидении – дать всей Европе знать о посыле нашей кампании "All over again"
Участники группы говорят, что очень сильно желали победы на шоу, чтобы выполнить свою задачу, но до сих пор не могут поверить в то, что это действительно произошло, и очень довольны этим. История группы Voltaj насчитывает свыше 33 лет, однако ее нынешний состав является более-менее стабильным с 1998 года. "Наша любовь к музыке свела нас и держит вместе уже 17 лет. Мы – больше, чем команда, мы все уже практически как семья и мы привыкли принимать все решения вместе, в нашей группе нет лидера", объясняют исполнители. Фанаты музыки в стиле хэви-металл помнят группу еще по ее первому полному альбому “Pericol de Moarte”, записанному в классическом хэви-металл стиле, однако после него группа предпочла выбрать несколько иное направление. Участники коллектива объясняют: "Да, мы ушли из жанра хэви-метала, но мы всё так же играем рок. Тенденции в румынской музыке постоянно меняются и мы стараемся к ним приспосабливаться". Даже несмотря на то, что сейчас группа полностью сконцентрирована на подготовке к Евровидению, она уже запланировала летом после конкурса выпустить свой новый сингл. "Мы написали нашу конкурсную песню в сотрудничестве с ребятами из Deepside Deejays. Мы сотрудничаем с ними уже много лет. Мы ценим одно и то же в музыке и благодаря этому наше сотрудничество так плодотворно. При написании стихов к ней мы вдохновлялись любовью к нашим детям и мыслями о них. Когда мы написали и выпустили песню под лозунгом "И вновь сначала", мы даже и не задумывались об участии в Евровидении. Однако, мы поняли, что конкурс может помочь нам дать знать всему миру о том, что столь много детей остаются одни дома, в то время как родители работают за границей, чтобы дать им шанс на достойную жизнь"
Как мы сообщали вчера, группа выпустила окончательную двуязычную версию своей песни. "Мы решили петь на отборе на румынском, потому что любим свою страну и свой язык. В Вене мы споем частично по-английски. Мы хотим, чтобы наше послание было понято всем миром и именно поэтому перевели нашу песню на английский". Участники группы говорят, что сами разрабатывали идею сценической постановки номера для национального отбора, но на международном конкурсе она будет совершенно иной. Еще задолго перед отбором коллектив выпустил видеоклип на свою песню. "Кадры в видео – это часть короткометражного фильма Сабина Дорохоя "Путь Дуная". Когда мы просмотрели его, нам сразу же в голову пришла мысль о том, как хорошо он впишется в нашу идею, после чего мы приступили к сотрудничеству с Сабином", объясняют участники группы. Перед конкурсом Voltaj планируют посетить вечеринки Евровидения в Лондоне, Амстердаме и Москве. "Мы послушали несколько из конкурсных песен этого года, есть как очень хорошие песни, так и исполнители. Конкуренция будет высокой, но как и всегда, мы тщательно и интенсивно готовимся к нашему выступлению на шоу и мы готовы вступить в борьбу". "Наше традиционное пожелание – живите так, как будто вам - двадцать! Но сейчас мы хотим добавить – никогда не бойтесь начать всё сначала!" Представители Румынии на Евровидении выйдут на сцену в Вене в костюмах, разработанных для них знаменитым дизайнером Флорином Добре. Он также работал над проектом Евровидения в 2012 году, когда создавал костюмы для мужской части группы Mandinga. Флорин Добре основал свой стиль моды в 2009 году, и с той поры проводил многочисленные презентации в различных местах Румынии и зарубежья - в т.ч. в Париже и Лондоне. Его работы появлялись на заглавных страницах французских газет "Le Figaro" и "Le Monde". Также он завоевал премию Лучшему международному дизайнеру на Неделе моды 2014 в Сербии. "Для меня - большая честь работать с представителями Румынии на Евровидении, одной из самых успешных групп румынской музыкальной сцены. Современный тренд состоит в том, что костюмы будут минималистичными, в черно-белой палитре, и с мой точки зрения, весьма подходящими социальному месседжу песни. Я надеюсь, что он сможет достичь зрителей и представители Румынии вернутся домой с высоко поднятыми головами"
Стилист телевидения Румынии Родика Пука, говорит: "Наша команда также сотрудничает с постоянным стилистом Voltaj Дарией Георгеску и дизайнером Михаелой Глэван, которая создаст обувь для артистов. После нескольких творческих встреч, мы решили отдать предпочтение минималистичному стилю, который находится в тренде и соответствует посылу песни". Румынская группа Voltaj прислала нам два видеопослания, где призвала всех зрителей "возвести мост любви и поделиться посылом песни "De la capăt / All Over Again" о том, что все дети должны воспитываться их собственными родителями". Группа Voltaj завершила съемку второй части румынской открытки. Ее съемки прошли на ипподроме в Вене. Полная идея открытки держится в строгом секрете, известно лишь то, что румынские артисты будут "на коне" в Вене. Voltaj сегодня снимают первую часть своей открытки для Евровидения. Финал румынского национального отбора "Selecţia Naţională Eurovision 2015" будет проведен 8 марта в Sala Polivalenta, Крайова. Юлиана Марчук вместе с Богданом Гицулеску возглавят организацию национального отбора, а Лиана Станчиу во второй год подряд будет главой делегации Румынии на Евровидении. Период приема заявок на участие в конкурсе продлится с 26 января по 8 февраля, никаких ограничений по гражданству исполнителей или авторов песен предъявляться не будет. В конкурсе, однако используется взнос за право участия в размере 200 леев (50 долларов США) за каждую внесенную заявку. Его необходимо оплатить на счет RO69RNCB0072000506070001 открытый в BCR Sector 1. Треки можно отправить по почте или доставить лично в Регистратуру телеканала TVR (Calea Dorobanţilor nr. 191, sector 1, Bucureşti), на компакт-диске, с пометкой "Национальный отбор на Евровидение 2015" на конверте, или по интернету через сайт wetransfer.com на e-mail eurovision@tvr.ro. Всего было получено почти 100 заявок. Участвующие треки были оценены жюри 9-11 февраля и 12го февраля список из 12 финалистов, был объявлен на специальной пресс-конференции. Прослушать участвующие песни можно здесь. Родика Акулова ранее принимала участие с композицией "My Light" в молдавском отборе, но не смогла выйти там в стадию полуфиналов. Среди других артистов, не вышедших в финал: Никола (Румыния 2003), Озана Барабанчя, Amna feat. Glance, Рамона Нерра, Наоми, Кеки, Николь Стройны. Vesel, trist, tot l-aș cânta. Nu aș rata nicio notă. Când nu știi ce-i de făcut. Să pot s-o iau de la capăt. Am atât de multe să vă zic. Atunci când e-n suflet iarnă. De ce nu cad când sunt tot ud. Happy, sad, I would still sing it. I wouldn't miss a single note. To be able to start from the beginning. When there is winter in the soul. Why I am wet without any rain drops. When you don't know what you mean. Hear it in the words I speak. Радостной ли, грустной ли, я бы все равно пел ее. Я бы не пропустил ни одной ноты. И никогда бы не останавливался. Когда не знаешь, что тебе делать. Смочь начать все с самого начала. У меня еще есть так много несказанного тебе. Когда у них зима на душе. Почему я мокр без единой его капли. Начать все с самого начала.